Interested in a new website built in Orchard Core? Or the status of the Beta 3 release? Or you want to learn how to develop in Orchard Core? Well, it will be definitely your post! If you go the GitHub page of the Liquid markup language, you could see a new merged pull request, with title: Add 'where' filter to standard filters. As you can read here: users of Liquid will often wish to filter an array to only those items that match a certain criteria. For example, showing "pinned" messages at the top of a list. You can optionally past a second value, which will be the value you want to test on. So, it's like the where statement in LINQ, but in Liquid. And this filter now is also part of Orchard Core. 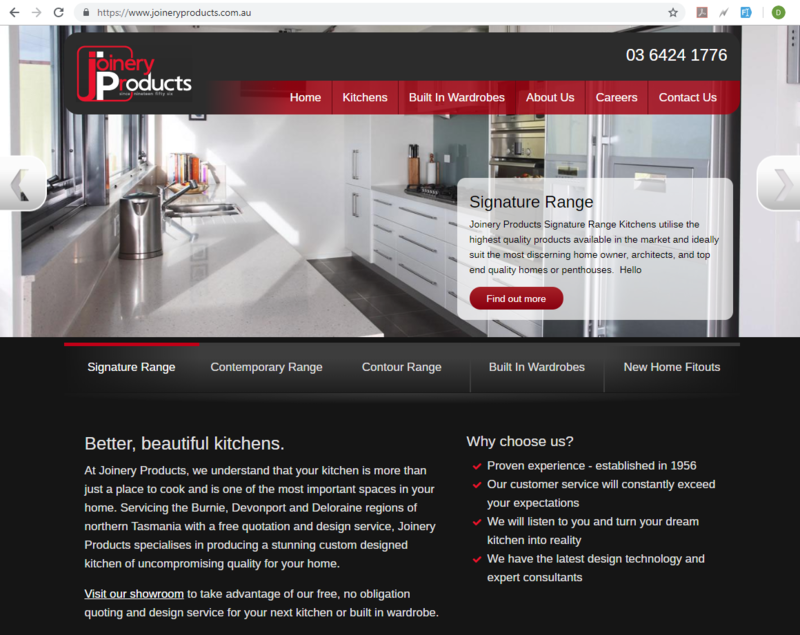 Joinery Products has a new website which runs on Orchard Core! Check out this site to see the loads of capabilities that you can achieve using the CMS. If you visit the page of the official Orchard Core Documentation in Read the Docs, you could notice the appearance of a new language: the French. Thanks to Antoine Griffard, the new localized documentation of Orchard Core is in progress! Orchard Core Training Demo module is a demo Orchard Core module for training purposes guiding you to become an Orchard developer. You can use this module as part of a vanilla Orchard Core source that including the full source code - which is the recommended way. 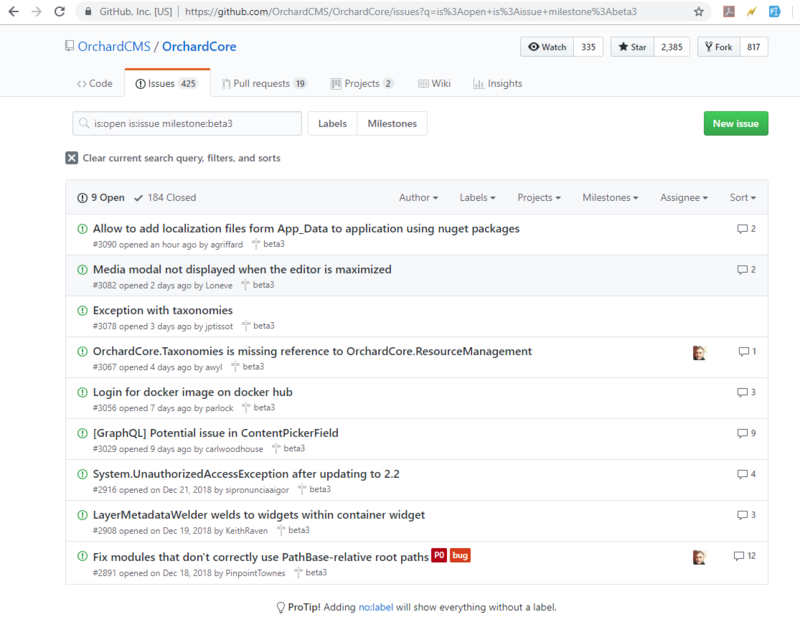 You can use it as part of a solution the uses Orchard Core NuGet packages, however, it's harder to look under the hood of Orchard Core features. The module assumes that you have a good understanding of basic Orchard concepts, and that you can get around the Orchard admin area (the official documentation may help you with that). You should also be familiar with how to use Visual Studio and write C#, as well as the concepts of ASP.NET Core MVC. Try Orchard! 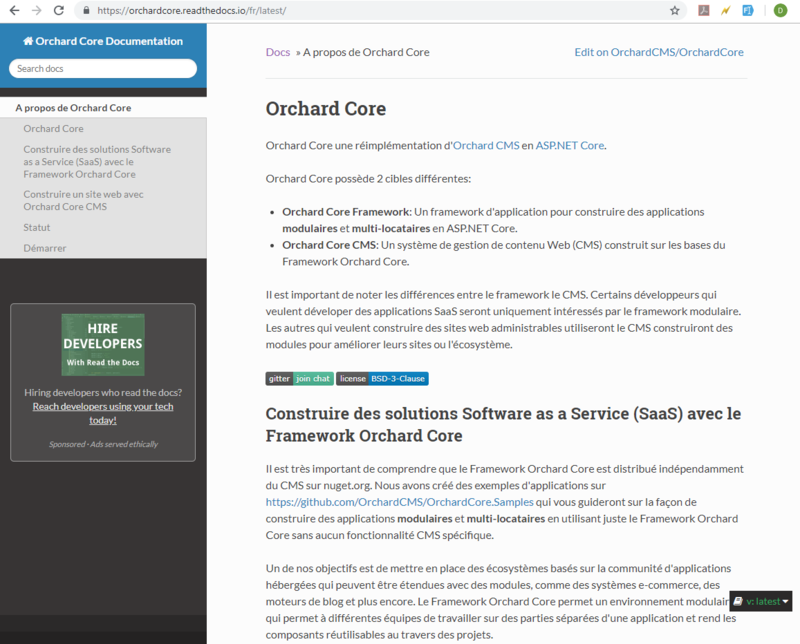 is a showcase for the Orchard content management framework: you can try how Orchard feels by checking out an already running demo site where you can play with Orchard as you wish. Now this site has a new look, check out the fresh new theme at https://tryorchard.net/. Is there an expected date for Beta3 release? while there is a roadmap (https://github.com/OrchardCMS/OrchardCore/wiki/Roadmap) that, as you can see, is not always accurate :). A better gauge of progress it to check how many issues are outstanding for the next release, what for Beta3 you can see here: https://github.com/OrchardCMS/OrchardCore/issues?q=is%3Aopen+is%3Aissue+milestone%3Abeta3 With just 3 outstanding we're quite close! How is the OrchardCore docs translation managed?